Uninsured and underinsured motorist coverages are essential when protecting yourself against the financial burden of car accidents. Both types of coverage protect you against a driver who does not have enough insurance coverage to pay for the injuries and property damage he/she has caused. When you have uninsured or underinsured coverage, your insurance company essentially “steps into the shoes” of the other driver and pays the damages he/she owes you. 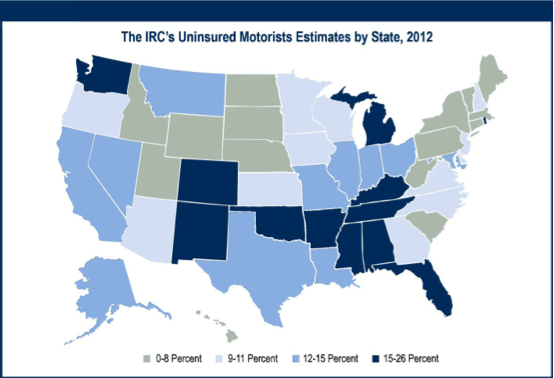 The Insurance Research Council (IRC) estimates that 1 driver out of every 7 drivers in the United States is currently uninsured. Out of the 29.7 million uninsured drivers in 2012, California had 4.1 million, Florida had 3.2 million, and Texas had 1.6 million. Uninsured motorist coverage is meant to cover situations where the policyholder has a collision with a driver who does not have any kind of auto insurance. Whether the collision is fully or partially the uninsured driver’s fault, the policyholder will be compensated by her insurance company for medical expenses, lost wages, and pain and suffering. This provides support for the policyholder when the uninsured driver is unable to pay the damage amounts out of pocket. Given the magnitude of health and vehicle expenses, many states require uninsured motorist coverage as a part of an auto insurance premium. Note: Uninsured coverage is also different than personal injury protection (or PIP) insurance, which pays for your medical expenses and your lost wages regardless of who is at fault for the accident. PIP has two important features. First, you submit the bills, you do not have to reimburse the PIP carrier for the amount they paid when you receive a verdict or settlement that includes those bills. And second, you can submit bills to your PIP carrier even if the bills have been paid by your health insurance. Underinsured motorist coverage helps cover the policyholder’s costs when the at-fault driver’s insurance is not sufficient, as long as the policyholder’s insurance limit is higher than the at-fault driver’s liability limit. That is to say, the policyholder has to have underinsured motorist coverage limits that are higher than the limits of the at-fault driver’s coverage. UMBI covers medical expenses, lost wages, injury-related expenses for you, any permissive driver, and your passengers. It also provides coverage for injuries sustained in hit-and-run accidents. All 50 states have their own rules and requirements for the offer and sale of motorist insurance. These rules can be complicated and difficult to interpret. 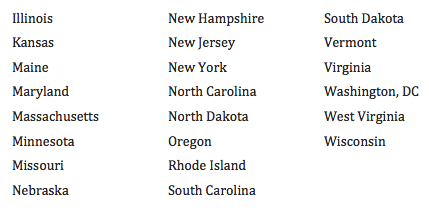 The following states require uninsured motorist coverage. If you have been injured in a car accident, estimate the value of your case with the Car Accident Calculator.